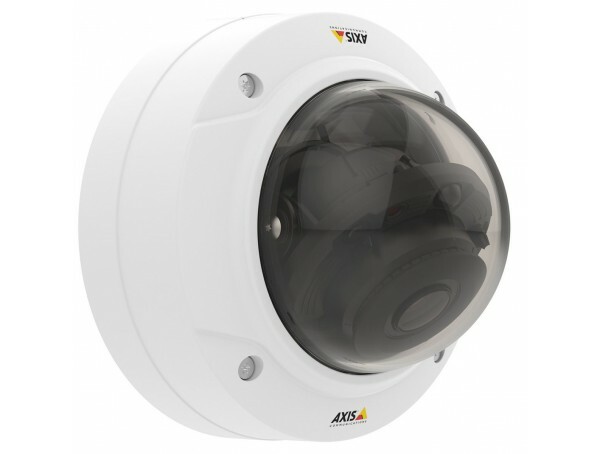 Day/night fixed dome with support for OptimizedIR with built-in adaptable IR illuminators, and WDR – Forensic Capture. IK10 vandal-resistant outdoor casing. Varifocal 2.8-10 mm P-iris lens, remote focus and zoom. Multiple, individually configurable H.264 and Motion JPEG streams; max HDTV 720p or 1MP resolution at 60 fps. 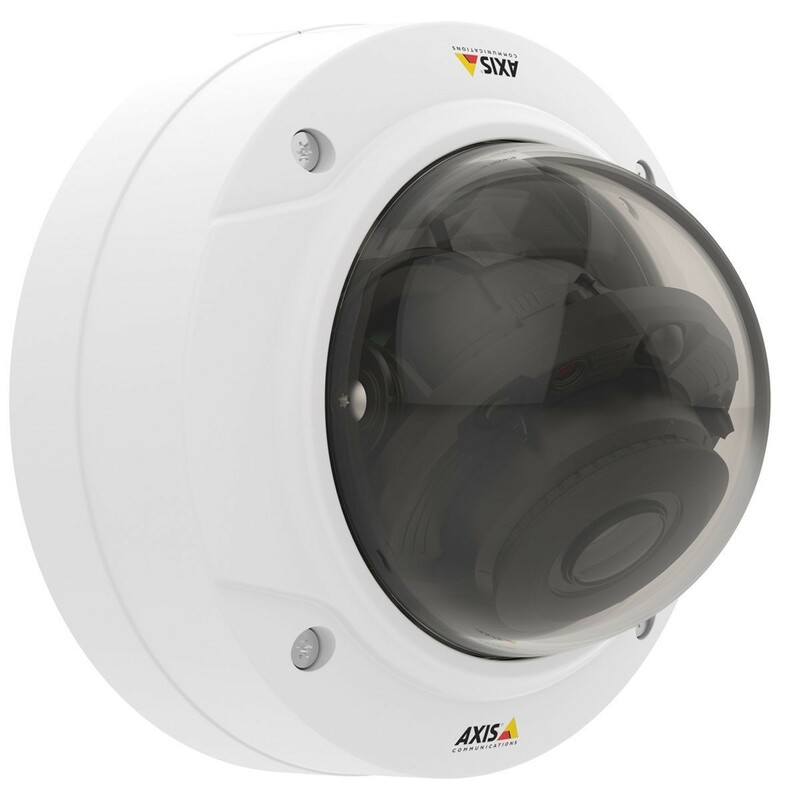 Axis’ Zipstream technology for reduced bandwidth and storage needs. Video motion detection and active tampering alarm. Memory card slot for optional local video storage. Operation in -30°C to +50°C (-22°F to 122°F) powered by standard Power over Ethernet. Midspan not included. Includes mounting bracket for wall or junction boxes. Aluminum inner camera module with encapsulated electronics IP66- and NEMA 4X-rated, IK10 impact-resistant casing with dehumidifying membrane Color: white NCS S 1002-B For repainting instructions of skin cover or casing and impact on warranty, contact your Axis partner.